The Heelwork to Music section! Watch agility classes and visit the Cocker and Springer rings. I love the agility class and would love to see these live, watch it on the Tv every year and would love to experience the atmosphere. We have two adorable Cockers, Lucie & Theo here at 'Cockers Ridge' in Woodall, South Yorkshire. We had one boy who went over the bridge, RIP Hutch. Our aim in a couple of years is our 'Retirement Project' - to dedicate our time to look after Spaniels for for you lovely people when you need us due to holidays sickness etc. We have moved to a lovely home purposely for this reason, in a quiet village on the outskirts of Sheffield. We have a very large garden and lots of woodland and fields just down the bottom of the lane. 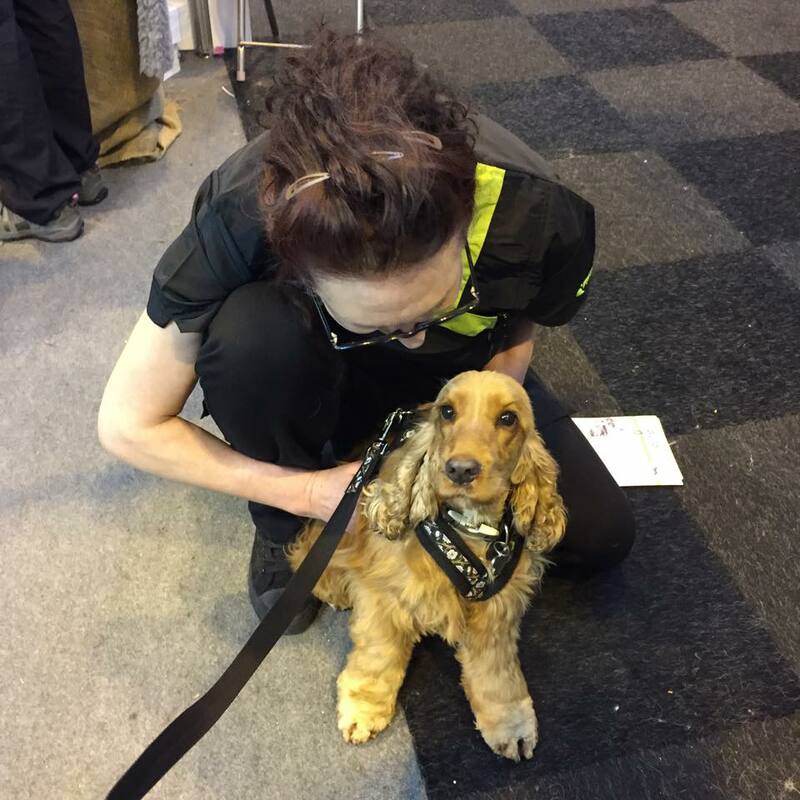 Our time will be dedicated to the Spaniel Breed only which we hope will encourage the owner to believe we have dedication to their pets breed, needs and understandings. 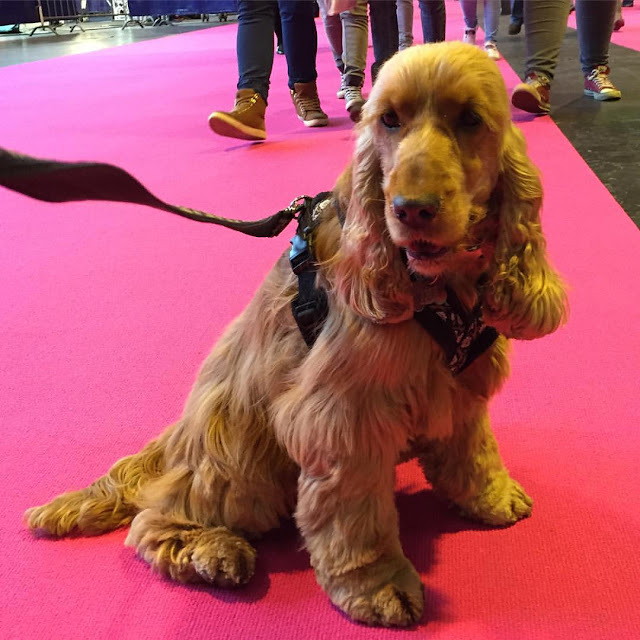 Never yet had the privilege to attend Crufts due our to work commitments but me and hubby are now seriously looking at what is needed to move on to our dream venture in retirement. I also hand make bespoke weatherproof dog coats which actually keeps me sane in between my job as a Medical Sales Account Manager. What more self satisfying than knowing you can help take the stress out of who is looking after your most important little 'person!/pet' in your home. Heres hoping we can get there this year. It's always good to see you Lottie. You're looking lovely. We cannot go to Crufts. (Too far away for us.) But hopefully you will give us some of the highlights, especially of the spaniels! I've never been so I don't know what to expect - but I'm a dog lover so seeing so many different species would be fantastic! The Heelwork to Music displays.I watch them with true adoration and would love to have a go with my 2 dogs! To watch best of show. Oooh shoping, shopping and a bit more shopping, my pooches will be pampered with all their new gifts oh and watch the Newfoundland classes! Looking around the stalls and generally chatting about how great dogs are. My daughter would love to go, she has done really well in local shows and she would enjoy and learn so much from a day at Crufts. I love dogs. Me and my dog are forever amazing my boyfriend with the things I can teach her. She is such a close member of the family she acts like a person. 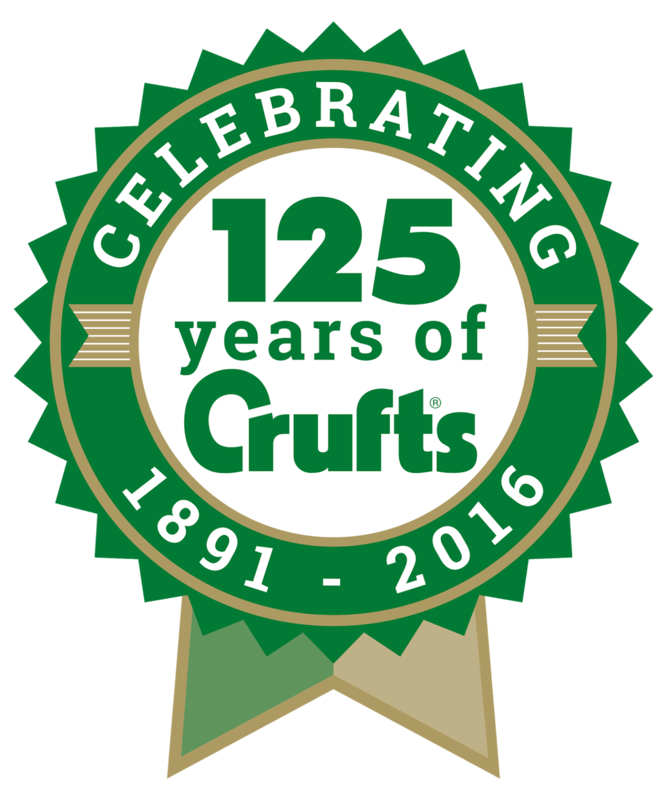 I would love the opportunity to go and watch crufts. Might even be able to teach Minnie another trick! See all the gundog breeds and shopping!